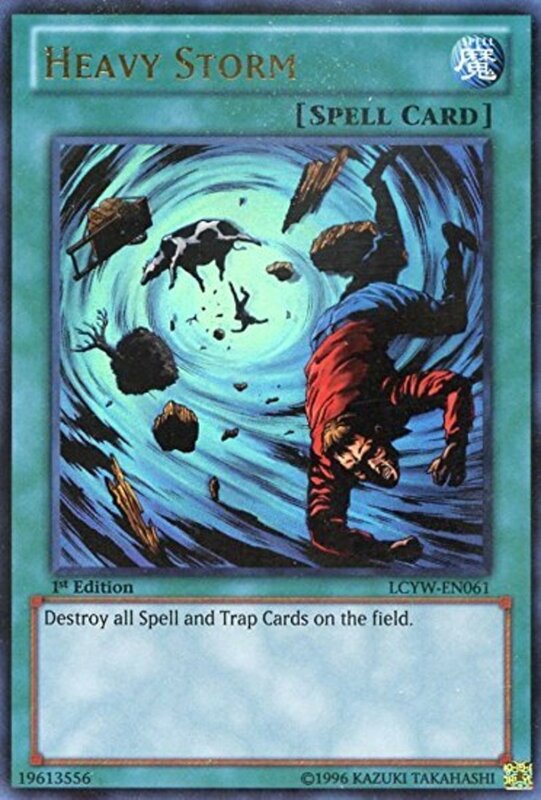 When playing Yu-Gi-Oh, you can always eliminate opposing monsters with field sweeps like Raigeki, or Dark Hole, or vanquish them with simple battle destruction. Spells and traps are more challenging to tackle, making non-monster removals vital to your deck's success. With hundreds of options to select from, let's take a look at the ten best (legal) spell and trap destroyers! 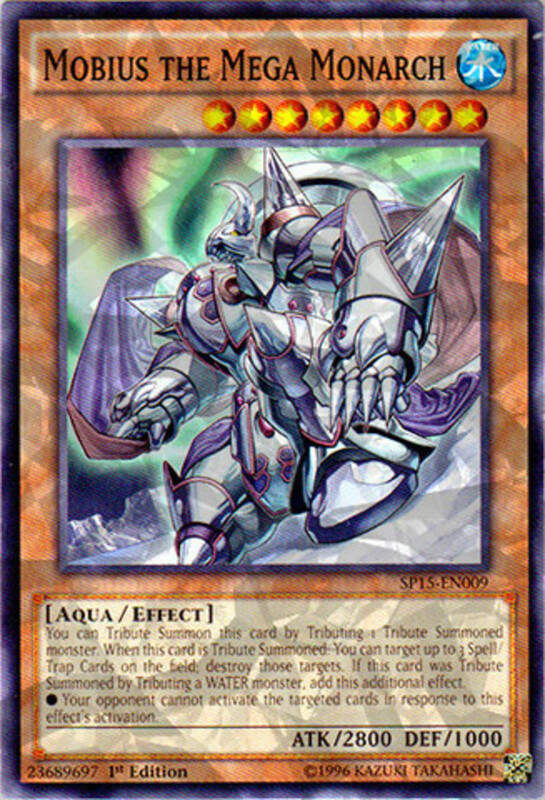 One of the game's oldest cards, Typhoon is the standard to measure against. You spend a card to destroy a card, an even trade. However, as a quick-play spell, you can set Typhoon to use during your opponent's turn at any time, which helps it maintain presence even in modern competitive duels. 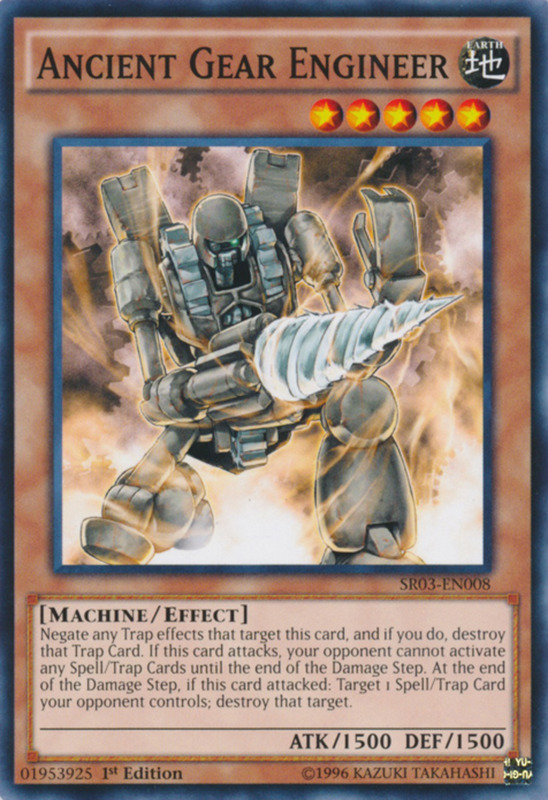 Using ATK boosters or cards like "Safe Zone", make sure Engineer lives through its battles to repeatedly destroy your opponent's hidden tricks. 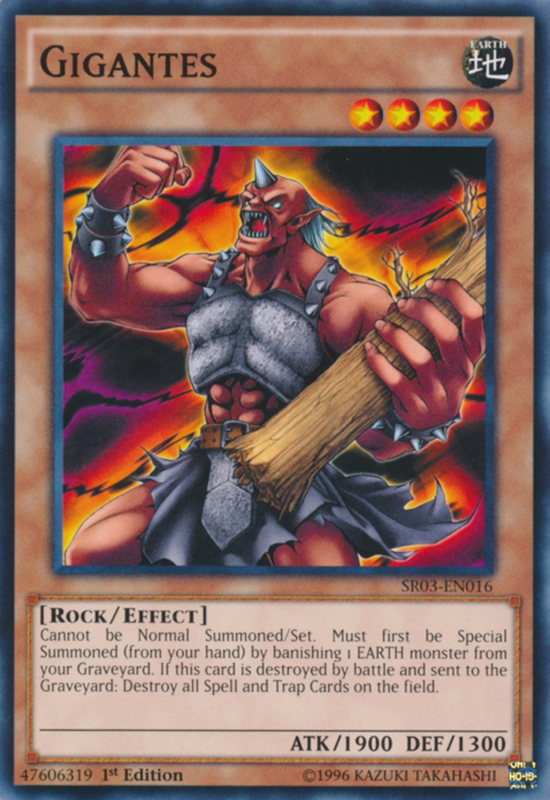 Engineer also helps fusion summon monstrous creatures like "Chaos Ancient Gear Giant", but if you're searching for a similar monster that doesn't demand a tribute to normal summon, consider "Amazoness Sage" (thumbnailed above). 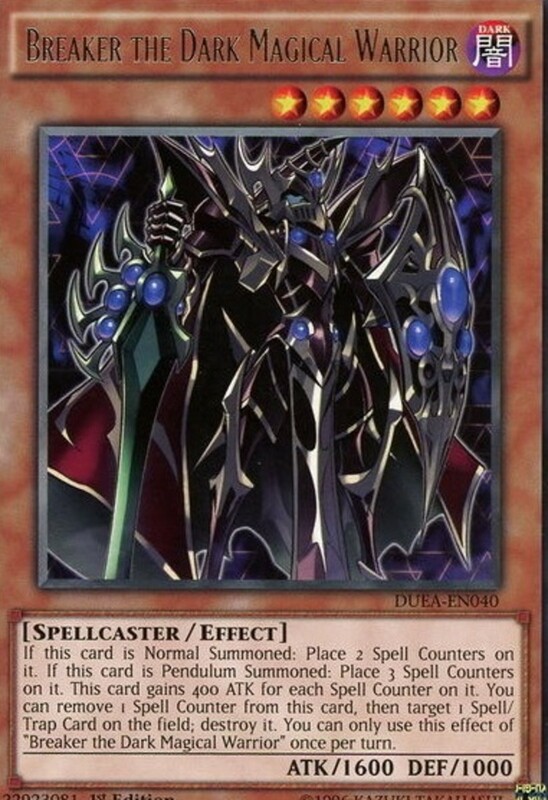 Simply normal summon Breaker and it'll gain a spell counter that boosts its ATK to 1900, letting it stand toe-to-toe with the strongest Level 4 monsters. However, you can also choose to spend the counter and destroy a spell or trap! 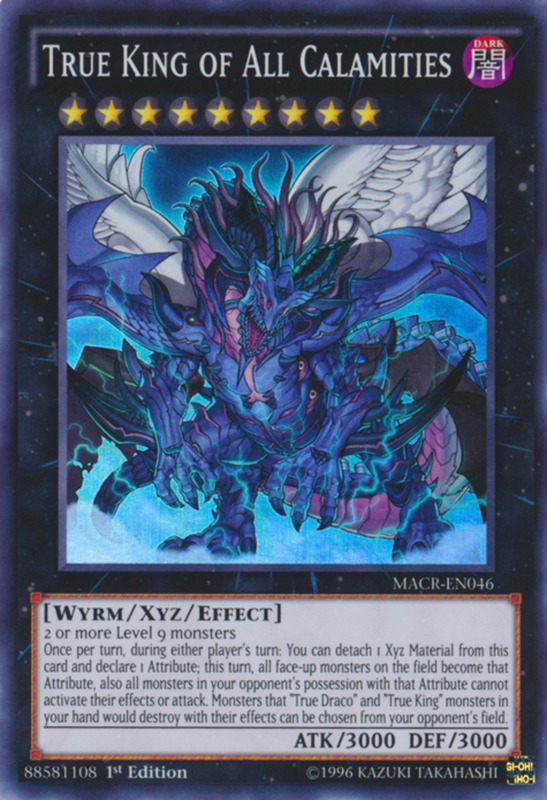 Like Mystical Space Typhoon, you're spending a card to eradicate one, but this time you'll have a Level 4 monster available afterwards, ready to use for an xyz summon, synchro summon, or simply for taking a hit. 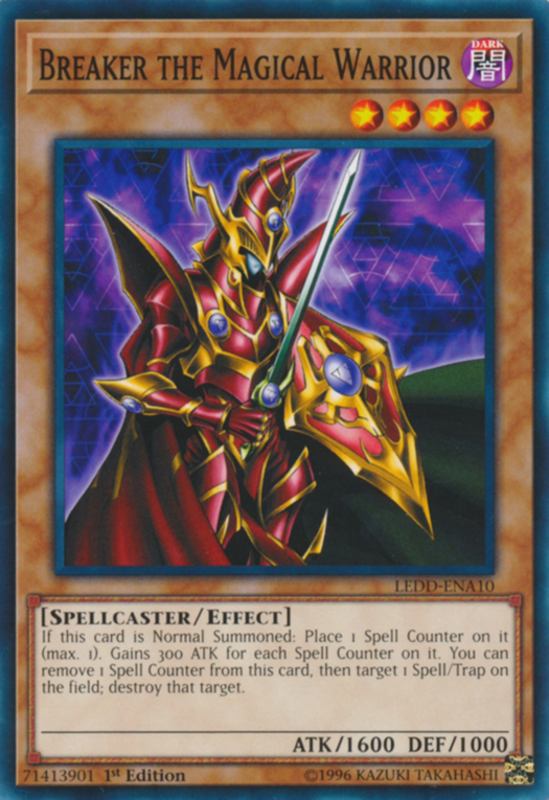 Pendulum decks should also consider Breaker's upgraded form thumbnailed above, "Breaker the Dark Magical Warrior". Gigantes requires an earth-attributed monster in your Graveyard to special summon; luckily, earth is a common trait. Gigantes brandishes a decent 1900 ATK, but you'll want it to be destroyed because it eliminates all spells and traps on the field when defeated in battle! 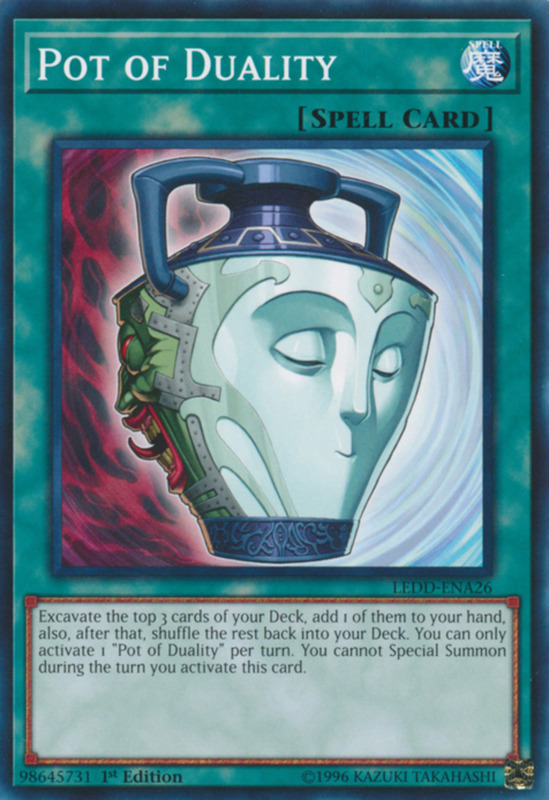 Of course, this will destroy your cards too, so save some in your hand while your opponent plays to the field. 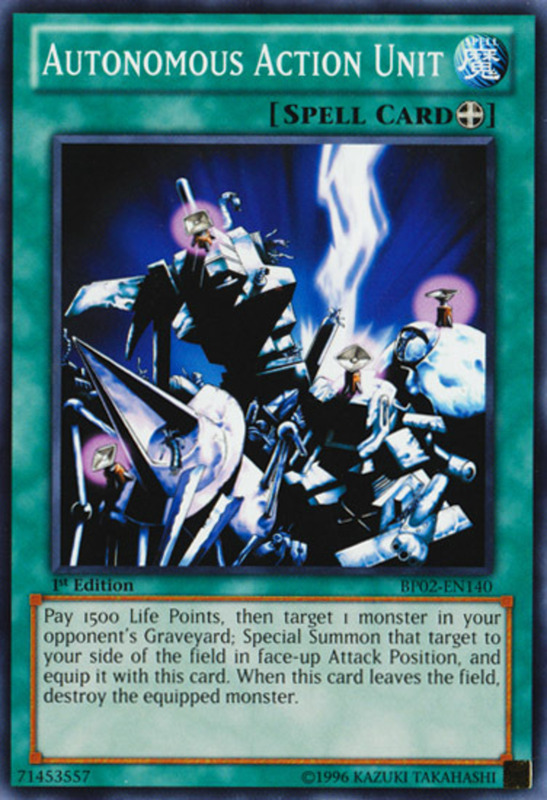 When this happens, summon Gigantes and purposefully have it attack a stronger monster, or put it into defense position and force your opponent to choose between letting it live indefinitely or annihilating all their spells and traps. 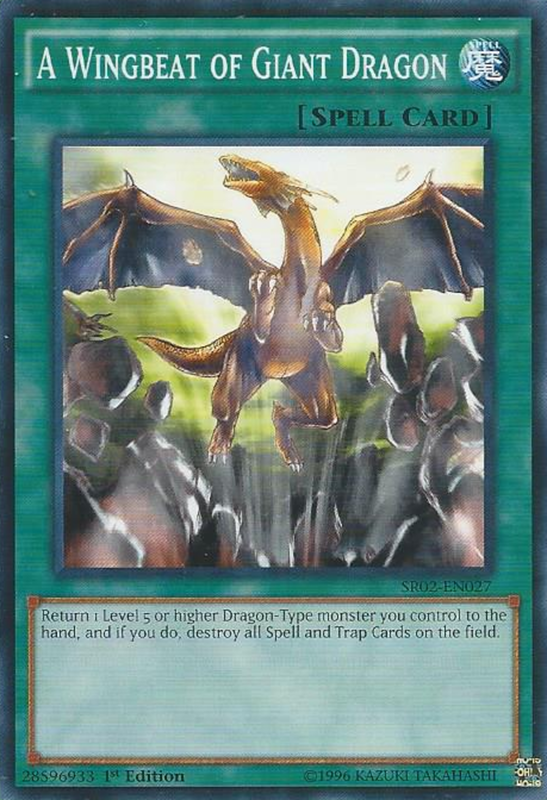 Dragons are some of the most common and powerful monsters, qualifying this spell for several decks. All Wingbeat needs is you to control a Level 5 or higher dragon-typed monster. Playing the spell causes your dragon to return to your hand, then all spells and traps will be destroyed. 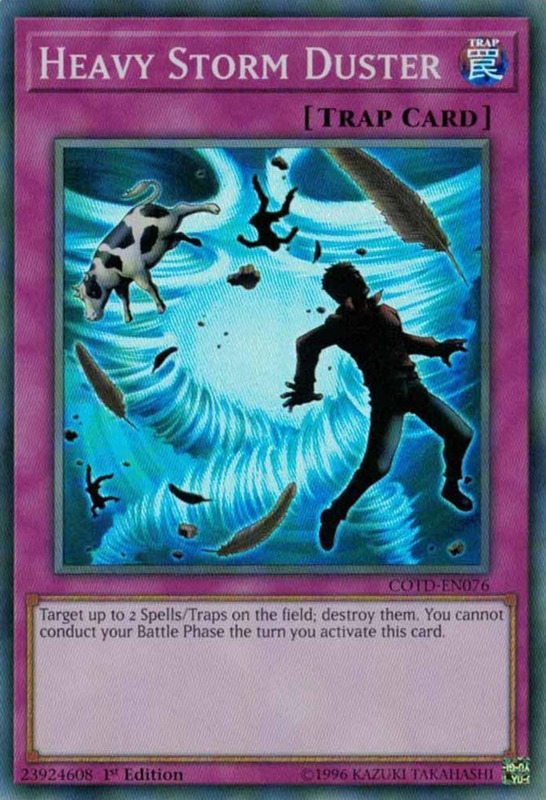 Although removing a monster from your field isn't ideal, since the card goes to your hand rather than deck or Graveyard, it's not a huge loss, and well worth obliterating multiple opposing cards. Combo Wingbeat with the strongest dragons available for a fierce pairing. Mobius belongs to the Monarch archetype, but you don't need to use them to activate its power. When normal summoned by tributing a monster, you get to destroy up to two spells and traps! 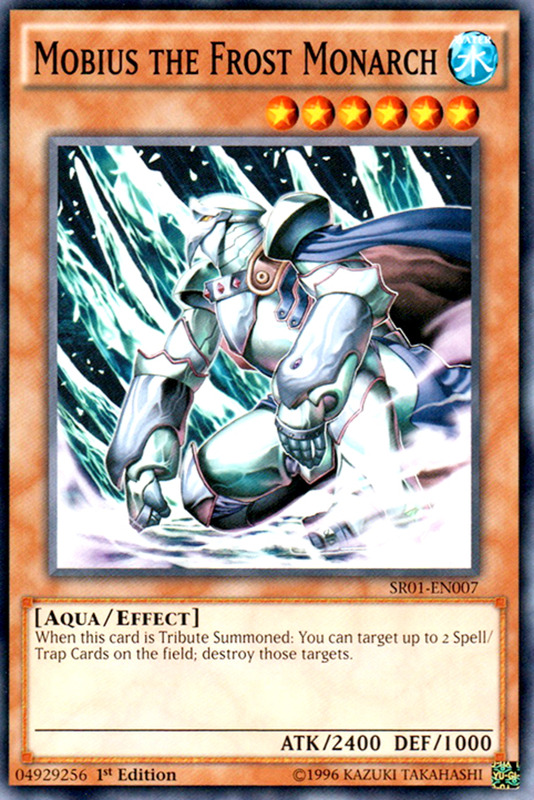 Even if Mobius is destroyed on entering with a card like "Bottomless Trap Hole", the effect will still trigger, preventing you from having to safeguard Mobius. Once the effect is complete, Mobius helps in battle with its 2400 ATK, and it has an advanced version, Mobius the Mega Monarch, that can handle up to three spells/traps! 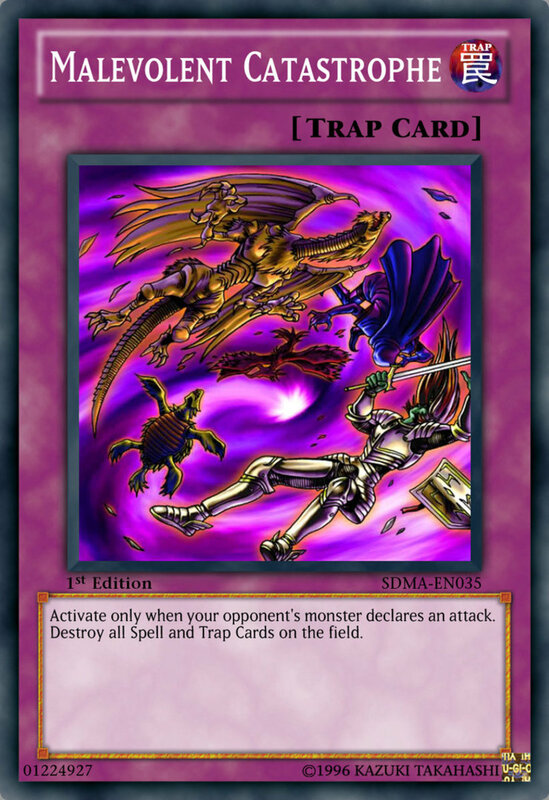 A simple card, you'll have to wait until your opponent declares an attack to activate this. Still, attacks occur on most turns, so you shouldn't be waiting long. When the condition is met, trigger the catastrophe and all spells and traps will be destroyed! 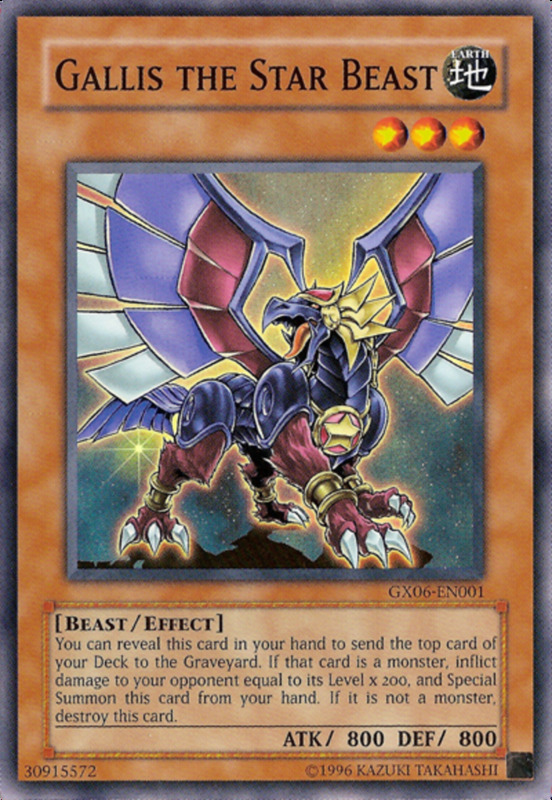 Like Wingbeat and Gigantes, yours will be destroyed as well, so save some in hand or simply construct a monster-central deck to make the most of this potent card. Mystical Space Typhoon's Japanese name is Cyclone (they added a few fluff words for us), making this a spiritual successor. And boy does it succeed. 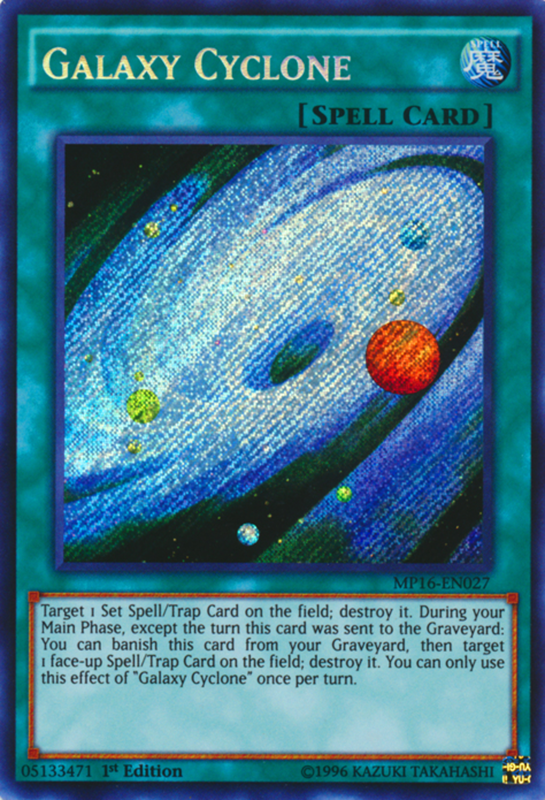 While Galaxy lacks the quick-play speed of Typhoon, it can first be activated to destroy a set spell or trap, and later banished from the Graveyard to destroy any spell/trap! You have to wait at least one turn for the banishing effect, but you're still killing two for the price of one, making Galaxy a no-brainer for several decks. 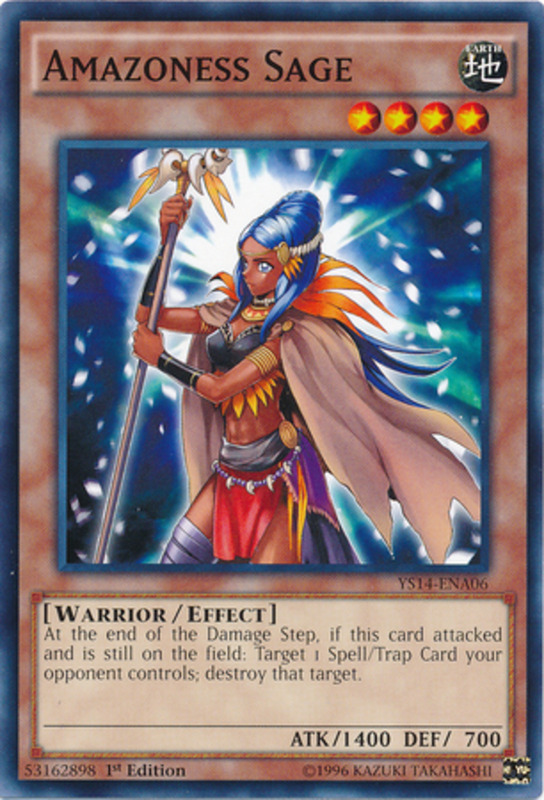 Veteran fans may remember the long-banned spells "Harpie's Feather Duster" and "Heavy Storm", both of which could destroy all opposing spells and traps. 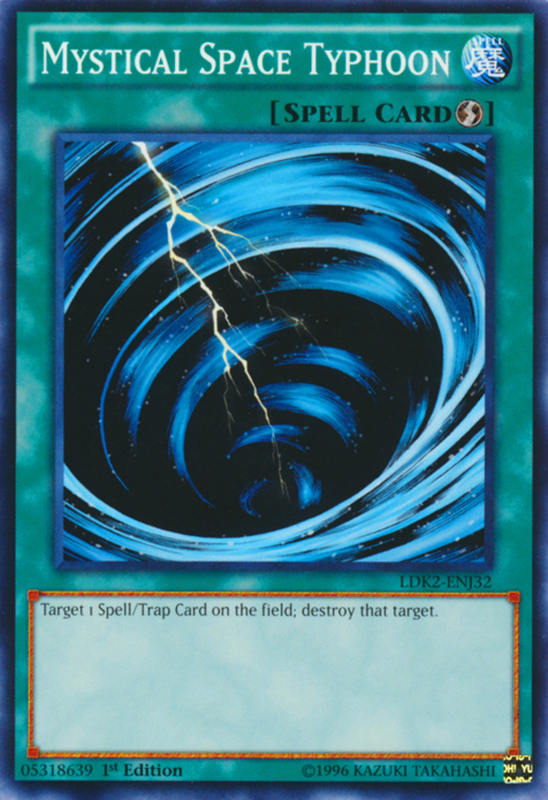 Though duelists can't be play them in tournaments, they can employ the trap card derived from them, and it packs a similar punch. Heavy Storm Duster targets up to two spells and traps and destroys them. The downside? You can't play your battle phase the turn Duster activates. Not only is that a modest price even on your turn, just play Duster on your opponent's to avoid it altogether! 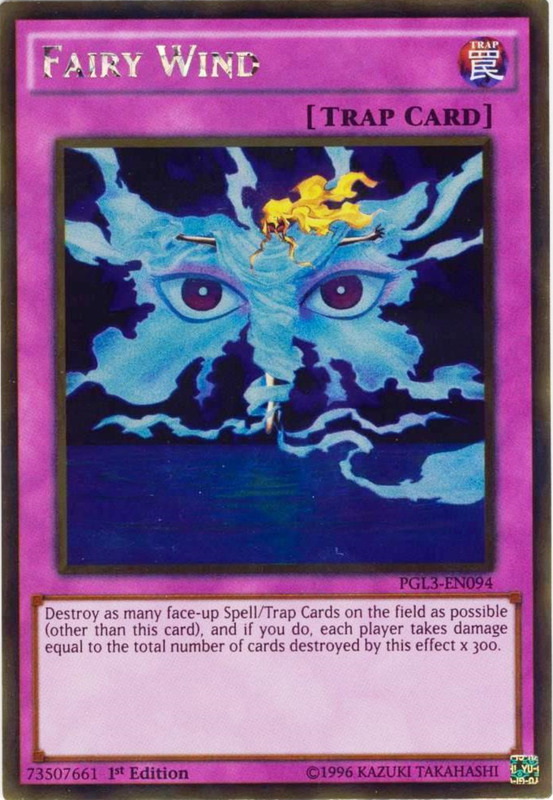 Watch your opponents fume as you eradicate two of their hidden cards without sacrificing your attacks. I use Duster in several of my own decks, and it's an incredible bargain for such a powerful card, costing less than two dollars! Twin Twisters is like two Mystical Space Typhoons in one. 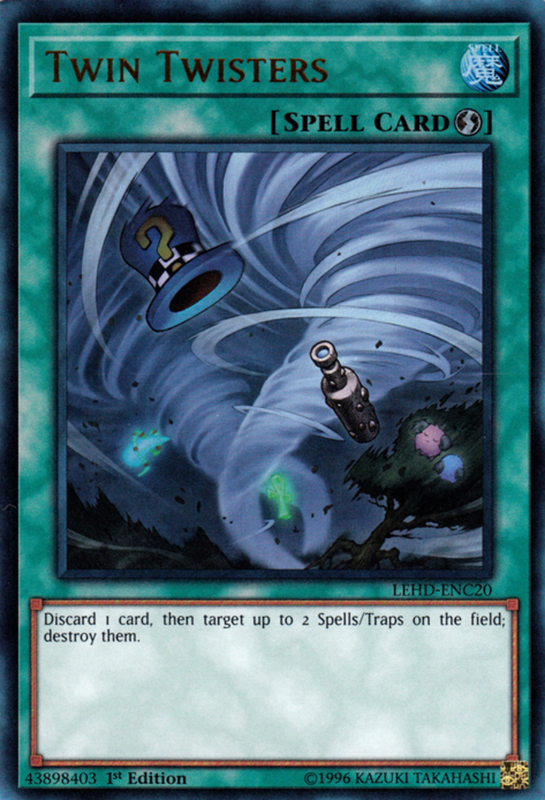 You have to discard a card, but you get to destroy up to two spells/traps on the field. And, as a quick-play spell, you can either use it as soon as you draw it or set it to use on your opponent's turn. Sure, you're spending two cards to eliminate two, a seemingly-even trade, but this helps you stock your graveyard with fodder, turning the discard to your advantage by preparing another play. 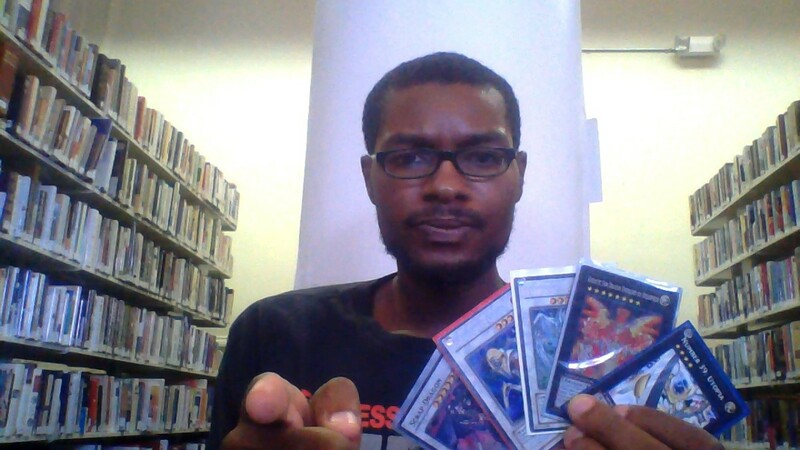 With this arsenal, you should be well-equipped to handle any magic or trap headed your way. 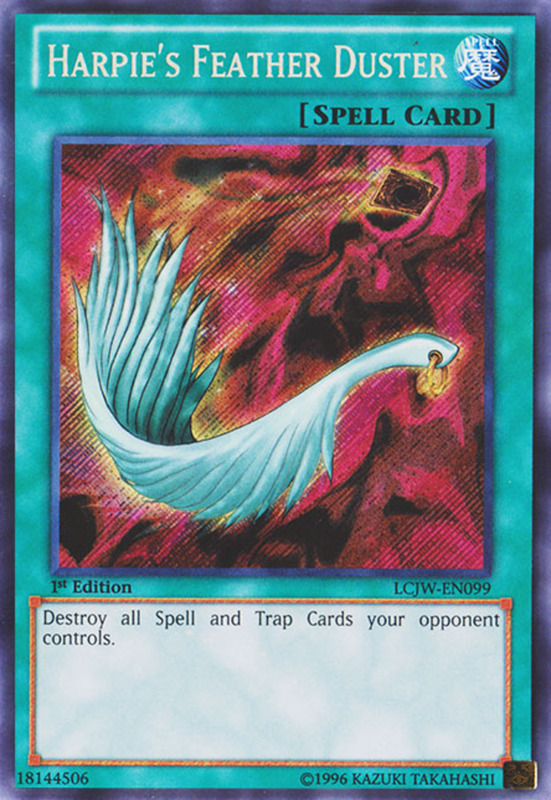 Be sure to examine your archetype's removal capacity for more prime ideas (like "Harpies' Hunting Ground"), round out the gaps with today's cards, and your deck will soon render foes helpless. 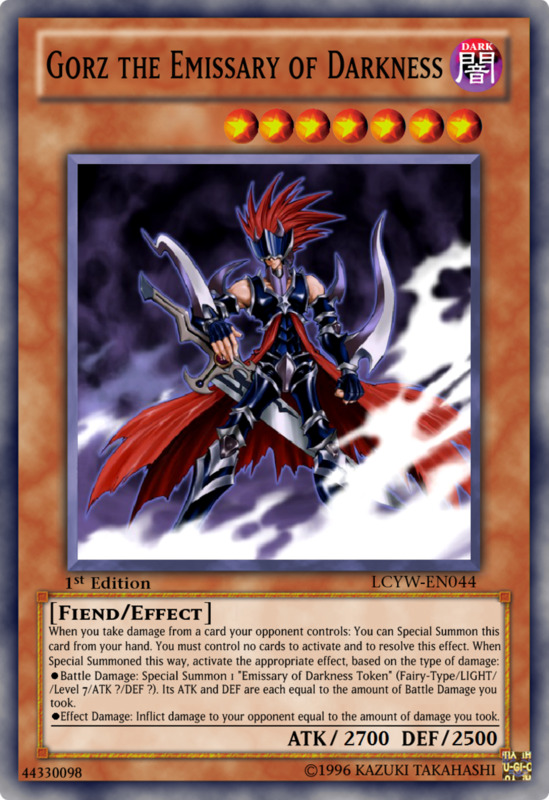 But for now, as we eagerly await Konami's next batch of spell and trap-destroying effects, vote for your favorite card and I'll see you at our next Yu-Gi-Oh countdown!